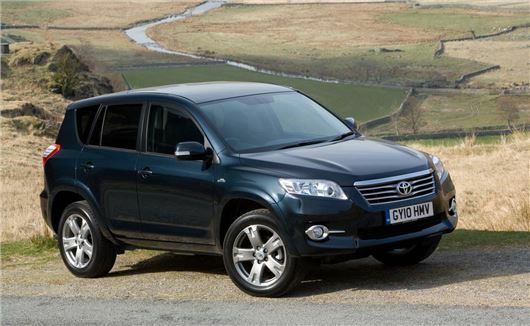 Toyota has announced safety recalls for RAV4, Hilux, Yaris and Urban Cruiser models. The recall will affect 6.4 million vehicles globally and affect 35,124 UK-registered vehicles. Some 25,000 RAV4 and Hilux models manufactured between June 2004 and December 2010 will be recalled over a fault relating to the airbag. Toyota has identified an issue affecting the spiral cable assembly in the airbag module, which could result in the airbag not being deployed in a crash. Toyota has said it has received no reports relating to any accidents, injuries or fatalities linked to the fault, but all vehicles affected by this issue are being recalled so that an improved spiral cable can be fitted. Toyota is also recalling Yaris and Urban Cruiser models over a seating fault. Toyota has found that the spring in the mechanism that locks the driver and (in three-door cars) front passenger seats in position on the seat adjustment rail may be under-strength and could break, should the seats be frequently moved back and forward. Should the spring break, the seat may not lock into its adjusted position, and could move in the event of a crash. The vehicles affected were built between January 2005 and August 2010. In total this covers 10,339 UK-registered cars. Toyota has also admitted that the Yaris and Urban Cruiser (2005 -2009) is affected by a fault with the steering column bracket. The bracket on some models might break when the steering wheel is repeatedly turned with full force. Toyota says the fault could cause the steering column to tilt out of position, although the driver will not lose steering control. All the vehicles affected by this issue are being recalled so that the bracket can be inspected. If no damage is found, an extra bracket will be fitted to avoid any problems occurring in future. All vehicles subjected to the recalls will be fixed at no charge and owners can check if their vehicle is affected using registration number look-up function on www.Toyota.co.uk. If owners require additional information they can contact Toyota Recall Helpline on 0800 1388744. The latest recall, which affects 27 models, comes just two months since Toyota recalled the Prius over a problem with the hybrid system’s boost converter software.